Announcement Adding new listings this week! Also check out sale prices on Spring Wreathes! Adding new listings this week! 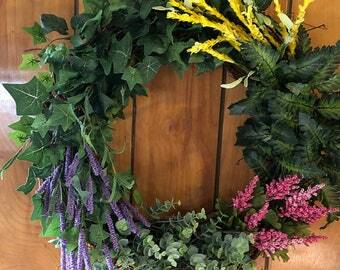 Also check out sale prices on Spring Wreathes! Absolutely gorgeous! Quality products utilized and excellent craftsmanship. Customer Service is outstanding. Would recommend this shop to anyone. I have always had a passion for floral design. I have worked for florists and retail stores as a designer and decided to use that passion in my own business. Also, I have two sons going away to college in the next three years, I need to make money!